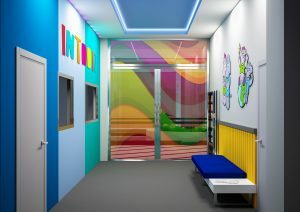 INTOOIT is a Kids Club with a great new set up! Children between 3 and 12 can spend an exciting and fun quality-time with us, while parents will enjoy up to 5 hours of freedom and tranquillity. Safety and fun for children, responsible staff and peace of mind for parents. Intooit offers a convenient and easy booking system where you can choose the dates and hours from the comfort of your home or your mobile. After signing up, create your profile with your contact details, your kids information and preferences, register your trusted Drop-off/Collector’s list and how long you would like your kid to stay with us, (between 2 and 5 hours, no half hours available); you are ready to leave your kids with us! All bookings and payments to Intooit are made by credit or debit cards through our Booking page. To enable us to provide a quality service and guarantee the availability, we require advance payment in full. All children must be booked by the system before attending to avoid overbooking. If your child attends the club without a prior booking, we are more than happy to take them, depending on availability. You can also use the booking system to add extra hours to your booking. Availability can be checked on our website. 3) Does Intooit have a membership plan? What are the benefits? 4) How does the cancellation policy work? If your kid cannot make it, please make sure to inform our team. Intooit offers a 90% refund for cancellations with a 2 hour notice before your booking. We are able to swap your booking to alternative dates within the same period, without charging the 10% for late cancellation. Any cancellations or absences made in less than 2 hours will not be refundable. Please make sure to call our team on 607335577 or email us at info@intooit.es. 5) How does drop off/collection works? By creating your trusted Drop-off/Collectors list, you allow Intooit staff to receive or release any children with safety. You can easily change or add a new Collector by logging into your account. Staff will only release children to registered Collectors, so please ask that collectors bring photo ID with them for checking. 6) What happens if I collect my kids later than the time agreed? Intooit will not charge if your kid overstays by 15 minutes, but you must inform our Head Office. After the tolerance time, you will be charged for another full hour, and from the second hour of delay you will be charged double price. Please mind that no kids are allowed to stay in the club for a period of over 5 hours. If you have a relative or a friend, or even a taxi driver who can help collect your kid, you can always easily access your profile and add a new trusted Collector. All Collectors must present an Id with photo at the reception desk. 7) How will my kids be entertained? Intooit have activities suitable for all ages and we are able to accommodate mixed age groups for most activities. 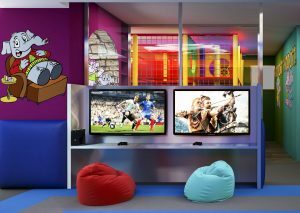 Our club includes toddler’s area with soft toys, Gamers zone with Xboxs and PlayStations, big screen projector TV, a variety of table games, a reading space, toys and a drawing space for our little artists. 8) Can I monitor my children at the club remotely? 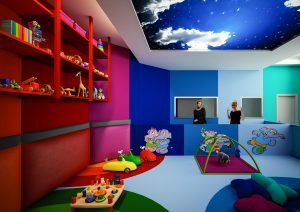 Members have access to video controlled zones enabling correct supervision of your children at all times. The whole club is CCTV (Closed Circuit of Television) monitored and the recordings, that will be saved for a period of 10 days; these can be requested at our Head Office. Parents are able to order a Skype video conference with their kids upon request via reception. 9) How many children can the club support at once? Intooit Kids Club have the availability to receive up to 30 kids at a time. 10) How many monitors will be available to watch the kids? There will always be 2 (two) responsible monitors available to assist the kids. 11) Are the parents allowed to stay in? No parents or babysitters are allowed to stay in the kids club. Exceptions are made with children that request 1 to 1 support. 12) My child requires special attention or medication whilst at the club. Intooit is an inclusive kids club and we try to support all children. If your kids are under any medication, we allow one parent to stay in for assistance. Please mind that our monitors are not allowed to medicate any children under any circumstances. If your children requires 1 to 1 support, Intooit permits that one parent, relative or babysitter accompanies them during their stay at the club. We can also arrange a specific professional, chargeable at an hourly rate. 13) Can my children enter the club with food or beverages? No. To protect our children no food or beverage from outside is allowed inside the kid’s club. Intooit has a snack machine where kids have access to snacks or beverages. You can find in our website a menu of what is served in our snack machine. 14) Can my kids bring any toys or games? Intooit offers the most advanced and varied toys and games for your kids. 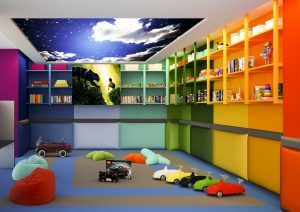 But we do understand that your children would like to stay close to their special teddy bears or toy cars. In that case, please make sure all toys are labelled. Intooit staff cannot be held responsible if they get broken or worsen. 15) Do Intooit accept private kids’ parties? Yes! Our club is perfect for your kid’s party. Please get in touch with our Club Manager who will help you plan the best anniversary or school party for your children and their friends. Please make sure you read our Terms & Conditions before booking.